Wales Theatre has seen it all, from the primitive 'storeroom theatres' and early films, through the silent movies and to the talkies and technicolor, cinemascope to wide screens. 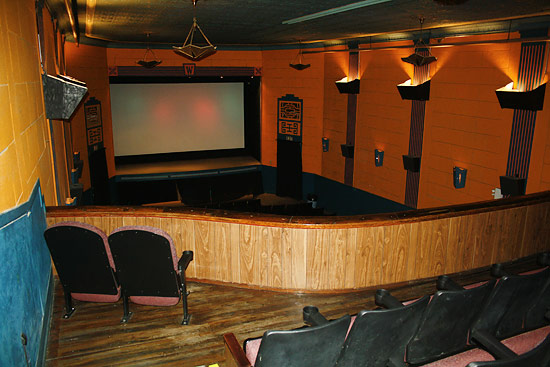 Today, the Wales Theatre features one of the last free-standing balconies in Canada with a dolby surround sound system, this ancient building has been completely renovated and accented with all modern amenities. Owned and operated by the Kidwai family of High River, we ask you to come and experience something completely different. Not your regular cookie cutter type of a theater and prices are reasonable, where you don't have to bring your paycheque. Step back into affordable entertaining history. Wales Theatre just recently re-opened after incredible damage during a flood in 2013.